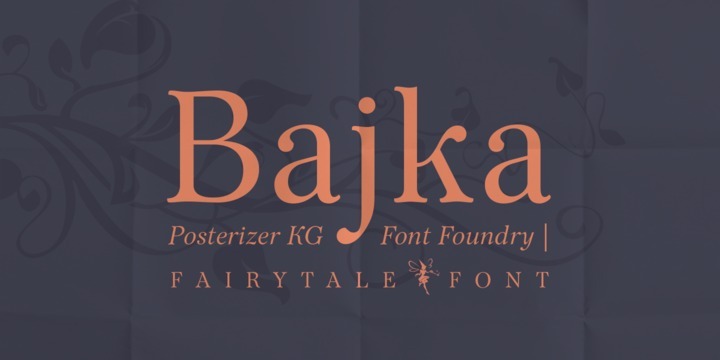 Bajka is a typeface created by Lazar Dimitrijevic and published by Posterizer KG which is based on Fairy tale Font. It is available in 2 weights (Regular and Bold) and italics, Simbols & Ornaments, ideal for children’s books. Price: all 5 fonts for only $70,00. A font description published on Monday, November 16th, 2015 in Fonts, Lazar Dimitrijevic, Posterizer KG by Alexandra that has 3,176 views.